In single-session schools, the regular school day for teachers and paraprofessionals is 6 hours and 20 minutes, inclusive of a duty-free lunch. Hours for other members will differ. For example, nurses and therapists work 6 hour and 55 minutes, including a 30-minute lunch break, while school secretaries work 7 hours and 20 minutes, including a lunch period. Functional chapter leaders can provide information specific to each title. In District 75 (citywide special education) buildings, District 75 self-contained classes in other school sites, as well as District 79 and multi-session schools, the school day may be 6 hours and 50 minutes including a duty-free lunch. Teachers get five preparation periods per week for unassigned professional duties. Monday: There is an 80-minute block of time immediately following the school day that will be used for professional development. If less than the entire 80 minutes is used for professional development on a given day, the remaining time will be used for Other Professional Work. This period of time ends exactly 80 minutes after the end of the school day. Tuesday: There is a 75-minute block of time immediately following the school day, 40 minutes of which is for parent engagement and 35 minutes for Other Professional Work. This period of time ends 75 minutes after the end of the school day. Paraprofessionals are only required to work the first 70 of the 75 minutes of this block. The staff of individual schools has the flexibility to modify the school day and determine how to repurpose the 155 minutes based on the needs and philosophy of each school community using a procedure known as a school-based option, or SBO. Please note: In single session schools without an SBO, the day cannot start earlier than 8 a.m. or go later than 4 p.m. on Mondays and Tuesdays, and no later than 3:45 p.m. on Wednesdays, Thursdays and Fridays. responsibilities related to teacher leader duties for all individuals in teacher leader positions. In addition to the activities listed here, a teacher or a group of teachers may propose additional activities that may include working with a student or students for any portion of the school year, which requires approval by the principal. In addition, a Staff Development Committee (SDC) may choose to meet to continue its work during times when other professional work is appropriate. Please be aware that Other Professional Work that is done during time designated in the Teachers’ and Paraprofessionals’ Collective Bargaining Agreements for Other Professional Work should be self-directed by the teacher or paraprofessional from the menu of Activities set forth in Article 6 and Article 4B respectively. On an as-needed basis, principals can direct teachers or paraprofessionals to activities on the contractual list but, per the contract, this direction cannot be done on a regular basis and must be the exception rather than the rule. 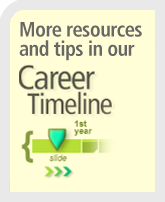 Preparation periods are unassigned periods to be used for professional work. A teacher may decide to use preparation periods to write lessons, grade papers, analyze student data, meet with parents, students or colleagues or other professional responsibilities. Prep periods are self-directed, that is, you determine what to do during your prep periods. Preparation periods are for unassigned professional duties. A principal cannot mandate meetings or administrative duties during your prep period. If you’re directed to do things like these on your prep, you should follow the directive and then file a grievance because you are entitled to be paid for a lost prep. Speak to your chapter leader about such an assignment. Your prep period can only be taken away in case of an emergency: The unavailability of a teacher to cover a class constitutes an emergency and a supervisor may direct another teacher to cover that class during his or her prep period. However, the covering teacher must be compensated for all lost prep periods after one unpaid coverage per term. There are often questions about our Professional Activities/Administrative Duties — Circular 6R — You select your activity from a menu appropriate to your grade level that is specified in Article 7 of your contract. If you want to participate in an activity not listed on the menu, you can do so with the permission of your principal. Your principal is required to meet with your chapter leader to consult on the number of positions and qualifications for each menu item. If your principal fails to consult, the chapter leader should notify his or her district representative and file a grievance. If you are assigned homeroom or AM/PM bus duty, you are fulfilling the responsibilities of the professional period; your professional period becomes one for you to use like a preparation period. All teachers should only have one assignment during this time. If you are given more than one assignment per school year, you should discuss this with your principal or chapter leader. A recent arbitration settlement protects members’ contractual rights and will create a new opportunity for high school teachers to work on targeted credit recovery in lieu of their Circular 6 professional activity. 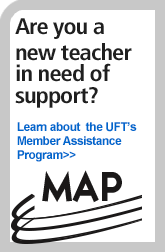 Credit recovery is not a professional activity because credit recovery is a teaching period and the UFT-DOE contract stipulates that professional activities cannot be additional teaching periods. Teachers and other titles have 10 days per school year that can be used for self-treated illness. Of the 10 days, up to three can be used for personal business (funerals, caring for a sick family member, closing on a house, etc.) that cannot be conducted at another time, provided that you give reasonable notice to your principal. Personal business is officially defined as something that cannot be done at any time other than a school day, during school hours. All three personal business days may be used to care for family members who are ill.
Unused sick days become part of a member’s Cumulative Absence Reserve (CAR), commonly referred to as your sick bank. Please note: These days cannot be used for vacation days. Whenever possible, you should submit medical certification for each day you are absent to preserve as many of your self-treated days as possible. If you take more than 10 self-treated days in any school year, you will not be paid for those additional absences unless you submit a doctor’s note – even if you have accumulated days in your CAR. The school year in New York City normally ranges from 180–191 days, depending on when the holidays fall. Most members will report to school on the Tuesday after Labor Day. Time is allocated to professional development and classroom preparation before students are present. What is the schedule for the Professional Development, Parent Engagement and Other Professional Work time? Do the changes to the workday to free up time for training, parent engagement and other professional work apply to related service providers? Will District 75 and 79 schools and multi-session schools have time in their workday repurposed? Can teachers meet with individual parents or groups of parents during the repurposed time for parent engagement? Will the increased number of parent-teacher conferences add more time to our work schedule?